Boston held its annual Haitian Unity Day Parade on May 20, celebrating the victory of the 1804 Haitian Revolution. This great uprising against settler-colonial chattel slavery led to the establishment of the first Black-led republic in the Western Hemisphere. 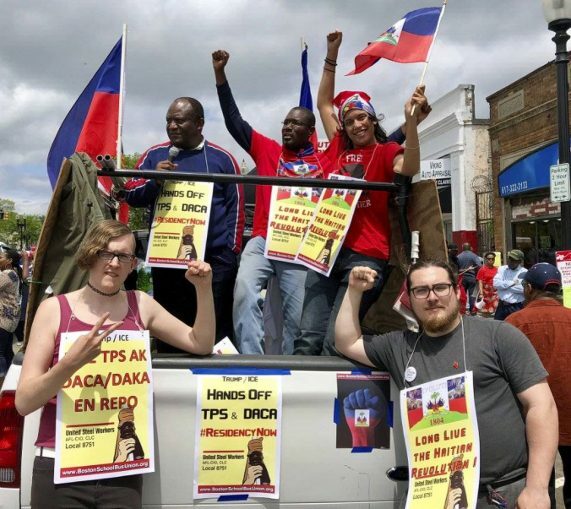 Thousands of Haitians, Haitian-Americans and their supporters marched, along with a wide range of groups that included Haitian workers, students, Fanmi Lavalas Boston and United Steelworkers Local 8751, Boston School Bus Drivers. The march began in Mattapan Square, long a cultural and social hub of Boston’s Haitian community, and continued along Blue Hill Avenue, where the community cheered and danced from their porches.